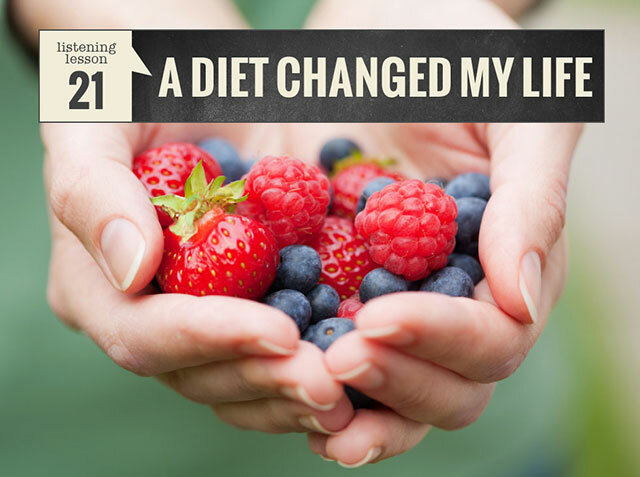 Listen to a story about how a diet changed my life! You’ll also learn how to say the word “diet” and how to link vowel sounds in a word. I’ve been sick for a long time. 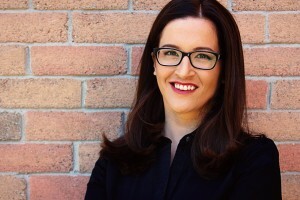 I was diagnosed with a chronic illness in 2009, but I’d been sick for many years before that. Over the years, I tried a lot of different things to improve my health, but nothing helped me fully recover. By the end of 2014, I was desperate. I decided to investigate if a radical change in my diet would improve my health. I heard about a medical laboratory that does a blood test that checks for food intolerances or foods that might cause problems in your body. I decided to have the test done, even though there is no agreement among doctors that this test measures anything. My results showed that I had 32 intolerances to everything under the sun: milk, wheat, soy, … you name it! I didn’t know what to do! What was I going to eat? Learn more: When is it OK to use foods and fruits?. I made an appointment with a dietician who specializes in food intolerances. I wanted to know what she thought about the results and if she thought a new diet could help me get better. She asked me to keep a diet diary. I had to write down everything I ate, how much I ate, what time I ate at, how hungry I felt, and any symptoms I experienced afterward. When I returned to the dietician, she knew right away what my problem was: sugar, specifically natural sugars in certain foods like milk, wheat, beans, and some fruits and vegetables. These sugars are poorly absorbed in the small intestine. For some people, this causes digestive problems and other problems throughout the body. My next task was to stop eating all these foods. From the moment I started this diet, my life turned around. Most of my symptoms have disappeared. I have more energy, I sleep better, and I get more work done during the day. This is the best thing that has happened to me in years. This diet is not easy at all. I have to cook everything from scratch and eating out is difficult, but I couldn’t be happier. The word diet may be a little difficult to say, because the vowels I and E are in different syllables. Diet is a two-syllable word. When one vowel sound comes after another vowel sound, it’s hard to say them smoothly without pausing between them. There is a way to link or connect these sounds so that they flow together smoothly. The first syllable DI /’daɪ/ is the stressed syllable and it is said louder and longer than the other syllable. The second syllable is pronounced /ət/, where the vowel becomes the schwa sound /ə/. So, we have /’daɪ/ and /ət/. To join these two syllables together, add a very short Y sound /j/ in the middle of the word, in between the two vowel sounds. It makes the word much easier to say and it sounds much more natural. Are there any foods that you can’t eat because they make you sick? I too, am allergic to life. I have reactions after eating fresh fruits or veggies, milk and some nuts. I live in a remote community so I am not sure if I even have a dietician let alone one who specializes in allergies, but it is worth a shot. Thanks for the tips! Oh my goodness, you might have the same problem as me, Julia! It’s not fun. I love your expression, “allergic to life”! Yes, that describes me, too! :) Good luck to you! I don’t have any food Allergies. I just eat less meat and more vegetables daily. More vegetables are good for you! I try to limit how much meat I eat, too. I try to eat it twice a week. Nice topic covered. Looking for more beautiful ones like this.Best luck. Hi, Nadia! Are you on a diet to lose weight or just a diet to improve your health? I don’t really have food allergies most of my life but I’ve just noticed that I feel bloated right after drinking too much milk not long ago. After a checkup, I discovered that now I’ve become lactose-intolerant. Thus, I’ve been trying to stay away from milk or just consume less amount of milk each time. That happened to my cousin! She drank a lot of milk when she was younger, but now she is lactose-intolerant, too! It’s so strange that you both developed an intolerance later in life. I can’t drink any milk or eat any yogurt, but I can eat some cheese, like cheddar cheese. I drink rice milk instead. I’d to say that your pronunciation is very clear and I could understand , may be, 70% of your daily program. i would be always in touch with you to improve. Thank you for the lessons. That’s great, Paulo! It’s awesome that you can understand about 70% of the story! Keep listening & you’ll start to understand more! Thank you for the info, Birgit! I’m not sure why some people can’t see it on their phones! Thanks a lot for your work! Hope this diet will help you, I understand that isn’t easy to keep so strict diet for the rest of your life. Fortunately, I don’t alergic to food. But I’m allergic to cats. So I have to always have special pills in my purse, when I’m going to visit my friends (everybody have cats!) in order not to bother other people with my sneezing. Maria, you put a smile on my face! Thank you! Cats! I’m sorry to hear you’re allergic to cats, because I love cats! I didn’t know there were pills for it! That must make it so much easier to be around cats. As ever your lessons are excellent. Fortunately I have no problems with food in general and then I do not need any care about my diet. I going to listening the new lesson as soon I can!!! Thank you for add to the new lesson. Thank you for sharing your story. I don’t have any food allergies. But I have anemia because my period is irregular. sometimes it’s heavy and lasts for many days. I have seen my family doctors for a few times. She gave me some advice and asked me to take blood test. She also gave me prescriptions. I don’t like to take medicine everyday because I think taking medicine everyday might harm my health. But I do pay attention to what i eat. I wish you all the best! I don’t like to take medicine, either, for the same reason. I don’t even like to take medicine for a cold! Sometimes the side effects of the medicine are worse than the original problem. Thank you for sharing your story with me as well. Can you take vitamins instead of medicine to help you? I went to a naturopathic doctor for awhile and was advised to add vitamins to my diet. I was tested for anemia, but I have the opposite – iron saturation, although this is not a serious problem. Hi, Melanie! Thank you for the new lesson. Hi teacher, from now on i’m going to pray for you since you’re sick (i’m adventist) do you know anything about adventism? I have a question about the pronunciation what was, well it’s not exactly the same words but i think it has to do something with that. In Taylor Swift’s song shake it off she says: “that’s what people say” and i think she omit some sounds, i hear as if she say another thing, she doesn’t say completely what, she reduce it. But i’m not sure about it. Can you explain me better? I hope you’ve understand everything i wrote. That’s a good question, Reinaldo! First, I LOVE that song! I went to see Taylor Swift in concert on Saturday in Toronto! It was so fun. When she sings, “that’s what people say,” the T at the of WHAT is held. 1. Your tongue moves and touches the top of your mouth. This stops the air from coming out of your mouth & stop the sound. 2. Your tongue drops and there is a release or puff of air coming out of your mouth. In the held T sound, you only do part 1. You don’t finish the sound. So when you say “what” in “that’s what people say,” your tongue goes up & touches the top of your mouth, but it doesn’t drop. You just go on to the next sound, the P in people. There is no release or puff of air to complete the T sound. hello Melanie, I’m happy to hear from you, your story is very interesting and I’m glad that that diet really help you to improve your health, in my case I’m not in a diet I can eat anything fortunately I’ve been very healthy all mi life and when I get sick I look for the alternative medicines it works very good on my body. on the other hand I want to say that you’ re the best teacher I’ve been learning a lot from your lessons, bye god bless you. Thanks for sharing your story and I enjoy listening your podcast. I don’t have any food allergies I can eat anything and now I’m getting fat. Hi my teacher, Thank you for the new lesson. Thank you for your podcast.to answer your question, I have to say yes, I have allergy to hot peppers, melon,eggplant. they make me having asthma and coughing. Hi, as I am from But I am always linked you your Blog , I appreciate a lot the way you record the Postcards and just eanmm increase, you have a wonderful pronunciation.but I just would to know how to do when speaking to somebody who speaks english quickly if there other information with importants characteristics. Hi Melanie,firstly I like your accent and the way you teach English..I rarely look at your website but I have decided that I will follow you more often from now on..I’m allergic to Octopus which results in (I’m not sure what the exact word is in English but I guess you call it ‘paraglossa’)swelling my tongue.Apart from Octobus I can eat anything so I’m the lucky one I reckon.I’m following you from the instagram as well..
About your question, so far, i can eat every food & no allergy at all. Thanks Melanie. Your tips are incredible and useful. I am alergic to some vegetables like tomatoes, peppers, eggplants and etc. When I eat them they make my mouth red and hot, my lips swollen and I have pain in my tummy for a few days. I like these vegetables a lot but there is no option for me. I have to avoid them to be health. Fortunately, I don’t have any food allergy at all!! I m very thankful for that!! But, the most important thing I learn from the podcast . I Believe I don’t listen carefully When other people talking or reading. When you mentioned about what was …,,,, my eye open….,,,,!!! Therefore, from now on I try to be listen more carefully … Thank you !!! I am glad that you learned something from this lesson that will help you improve! Keep up the good work! I really enjoy your podcasts. They are amazing and I hope you work for another else. I´m haevy training my listening skill, but I understand still a little bit worse than Iˇd want do it. It´s frustrated but I haven´t gave up! What about my diet? I have started my diet because my fat body and bad health. Now I eat healthier, make a gym, swimming and ride bicycle. I´m stronger, I have more than 10 kilos down, feel better myself and my doctor told I´m healthier in general. It´s super, isn´t it? Welcome, Martin! Thank you for your kind words about my podcast! I am thrilled that they are helping you improve your English. Don’t give up! You are talking to a native speaker & that is a huge accomplishment, so well done! Keep working hard & you will keep improving. I am an English teacher myself and I have just started to boy your guides. They are amazing. I would like to use them with my private students. Can I do that? Thanks in advance. Awesome material. Congratulations and keep the great work. I am so pleased to hear that my guides are useful to you! Yes, you can use them with your private students. Please let me know what your students think about the guides! I’ve writing down everything you say in your podcast, to improve my listening skills. But during this episode, I found a word that made me reflect about it. I thought it was “were” instead of “was”, in this sentence. Is this well-written?. Pardon me if I’m wrong. Yes, this sentence is correct. Which part of the sentence do you think is wrong? I’m pretty sure Luis thought about “This WAS good news (…)” – that there should be “WERE” instead of “WAS”. But of course the original version is absolutely correct as the noun “news” is uncountable (the news is…. – NOT the news are…). Thanks a lot for such an interesting website and all your dedication to helping others with their linguistic dilemmas. The podcast player is underneath the photo. There is a triangle inside a circle on the right. Click on the triangle. Are you using your phone? There is a particular phone that cannot see the podcast player on this page. I don’t know what food its bad for me. I will try listening this story for have the habit in this language. I got the results of a blood test just a few weeks ago. I am intolerant to gluten, either is my son, aged 16, We have already started the diet. It is not that difficult to cook and pepare meals without gluten at home. But it is’nt quite easy for my son, especially when he meets his friends and they decide to go out for having a pizza or hamburger or any other fast food. We still have to learn a lot about glutenfree food. It can’t be easy being 16 & gluten-intolerant! I feel for your son. Many restaurants now offer gluten-free options but it’s impossible to prevent cross-contamination (gluten from other food getting mixed in your son’s food). I agree with you that it is not that difficult to cook and prepare meals without gluten at home! I have a health food store in my town and it is very easy to find all kinds of food that I can eat. A lot of regular supermarkets now offer gluten-free products, too. Thank you for letting me know! I have fixed the problem & you should be able to listen to it now!